More than $136,000 was raised at the recent Monique Burr Foundation for Children, Inc. Annual Pro Am Golf Tournament. The MBF Champions for Child Safety Pro Am golf tournament, hosted by the Monique Burr Foundation for Children, is scheduled on Monday, Nov. 28, at The Palencia Club in St. Augustine. The Monique Burr Foundation for Children, Inc.’s (MBF) Champions for Child Safety Pro-Am Golf Tournament will be held Monday, Nov. 28, 2016, at 10 a.m. at the Palencia Club in St. Augustine. Monique Burr Foundation for Children, Inc.’s Champions for Child Safety Pro Am will tee off on Monday, Nov. 30, at the Palencia Club in St. Augustine. This year’s event is the foundation’s 18th annual golf tournament. The event offers corporate teams and individuals the opportunity to golf for a good cause with professional golfers. The honorary chairs are Fred Funk, Jim Furyk and Mark McCumber. Pro-Am Golf Tournament Set for Nov. 30 at Palencia to benefit Monique Burr Foundation for Children, Inc. 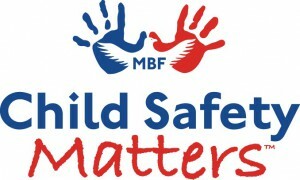 The Monique Burr Foundation for Children, Inc.’s (MBF) Champions for Child Safety Pro-Am Golf Tournament will be held Monday, Nov. 30, 2015, at the Palencia Club. The tournament offers corporations and individuals the opportunity to golf for a worthy cause and tee off with professional golfers. This year’s Honorary Chairmen are: Fred Funk, Jim Furyk and Mark McCumber. The Monique Burr Foundation for Children will host its 17th Annual Jinglebells Pro Am Golf Tournament, presented by AT&T and the Jacksonville Area Lexus Dealers, on Tuesday, Dec. 10, at The Palencia Club. The tournament offers corporations and individuaals the opportunity to golf for a good cause and tee off with some of your favorite professional golfers. Honorary chairs for this year’s tournament include golf legends Mark McCumber, Fred Funk and Jim Furyk. World-renowned golf celebrities and local teams recently teed up together and raised $138,000 at the 13th Annual Monique Burr Foundation for Children, Inc.’s Jinglebells ProAm Golf Tournament.